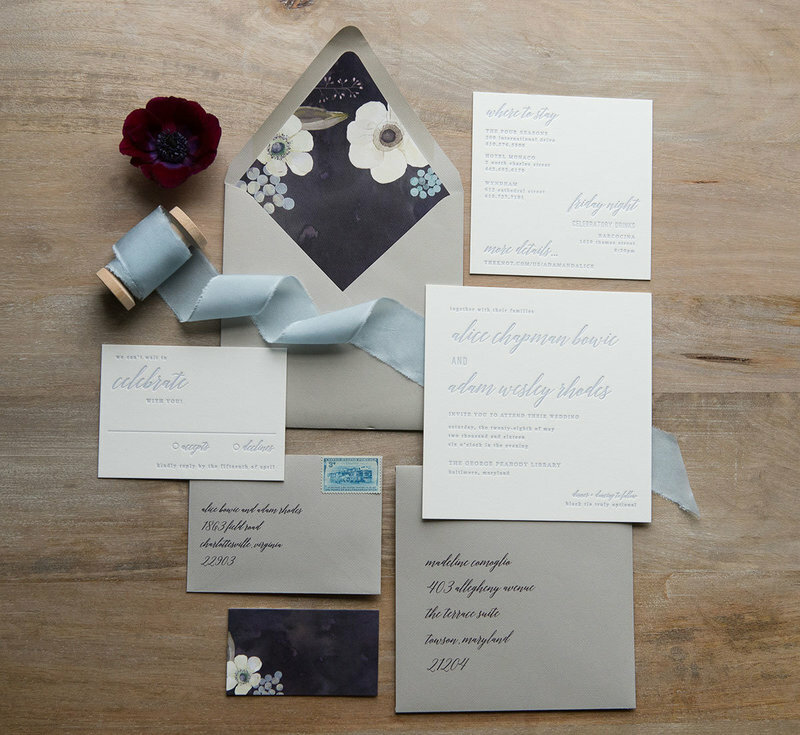 Our wedding packages are always custom designed from start to finish and the design starts with you. 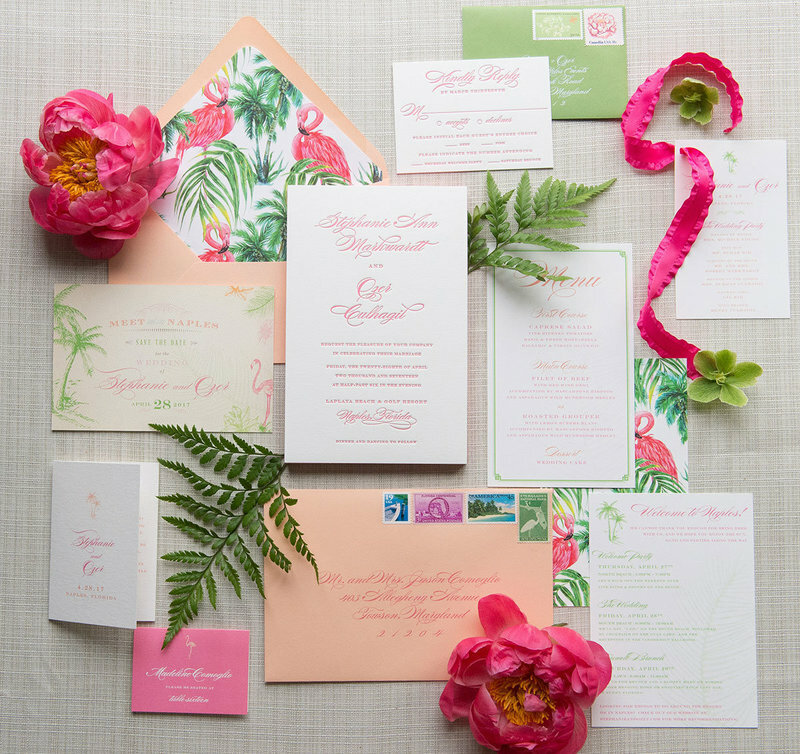 Your inspiration starting point could be a color palette, seasonal botanicals, or an elegant monogram - wherever your spark takes us, we will fan that spark into an unforgettable first impression. Imagine your wedding is a song. 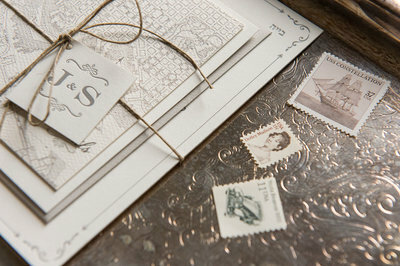 If your invitation is the melody, day of details are the harmony. 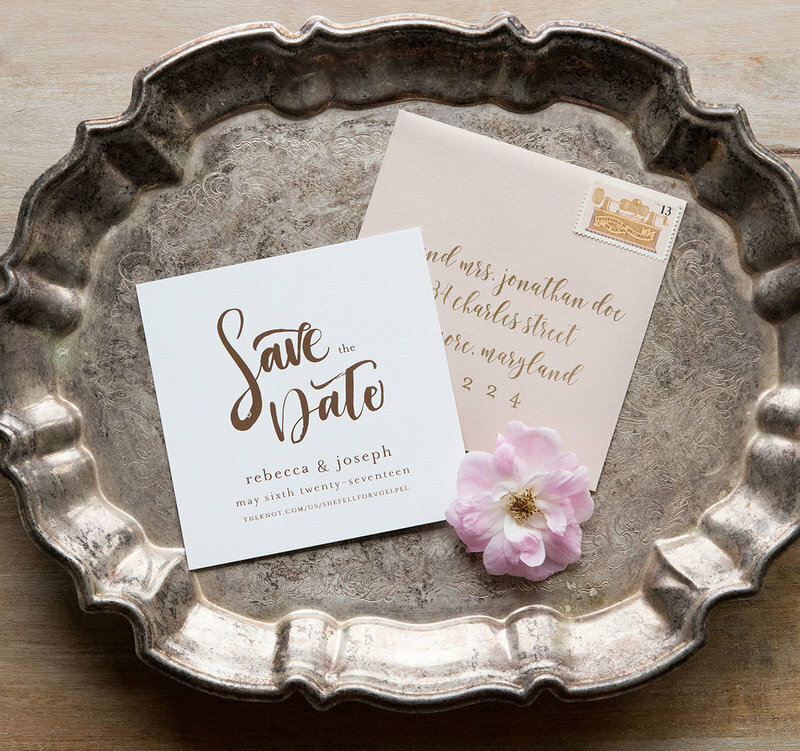 These are the details that will bring your whole day together and will be captured beautifully by your photographer. Make every aspect of your event unforgettably YOU with design elements echoed throughout your guests’ experience. We love those little extra touches and spreading the design throughout. thank you notes…the sky is the limit! 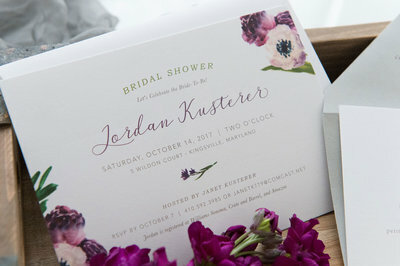 We pride ourselves on how effortless and stress-free we make the invitation process for our clients. 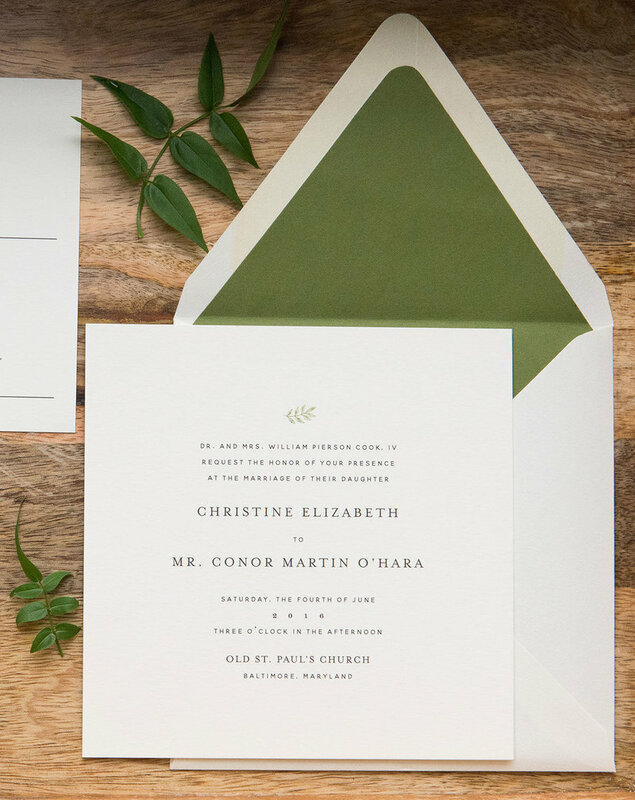 You have enough to worry about figuring out your seating chart - let us handle getting these beauties addressed and out the door. Rarely does a wedding begin and end with the ceremony - make each event leading up to and after the big day reflect your style and personality. 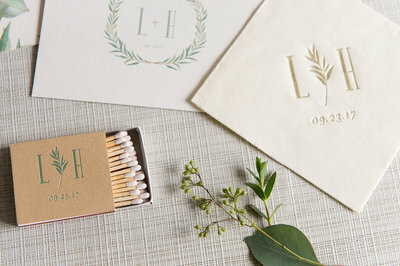 We also design for all of life’s celebrations! 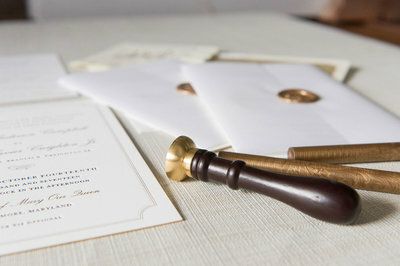 We treat each client with exceptional personalized service and attention to detail - no matter what the occasion.